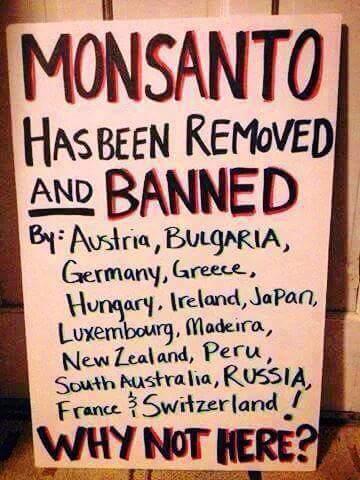 Why has Monsantos been banned in many countries but not in the US, Canada and else where? Monsantos GM seeds aka terminator seeds since they are sterile, are resistent to their Roundup herbeside but we aren’t. Does it end up in our food? It’s heavy use is creating weeds resistent to it and their sterile seeds result in lower yields than using seeds from the best non GM plants. Many countries in Europe and elsewhere have removed and band Monsantos. Are these countries using better and safer methods to farm? 3 Responses to Why has Monsantos been banned in many countries but not in the US, Canada and else where?